March 21, 2017- New York, NY– Legacy Recordings, the catalog division of Sony Music Entertainment, commemorates the 10th Anniversary of Record Store Day with an electrifying line-up of exclusive new and collectible 7″ and 12″ vinyl releases. Sony/Legacy is pleased to announce the launch of Certified Classics–a new cross-platform urban catalog brand devoted to the curation and celebration of classic hip-hop and R&B— As part of this new initiative, Certified presents three RSD 2017 exclusives: DJ Muggs Presents…The Soul Assassins Chapter One, Giant Single: Profile Records Rap Anthology, Vol. 1 and the Big L – Devil’s Son EP (From The Vaults) (featuring five unreleased tracks). Now in its tenth year, Record Store Day is an annual day-long celebration of record store culture held on the third Saturday in April. RSD has named St. Vincent as Record Store Day’s Madame Ambassador 2017. 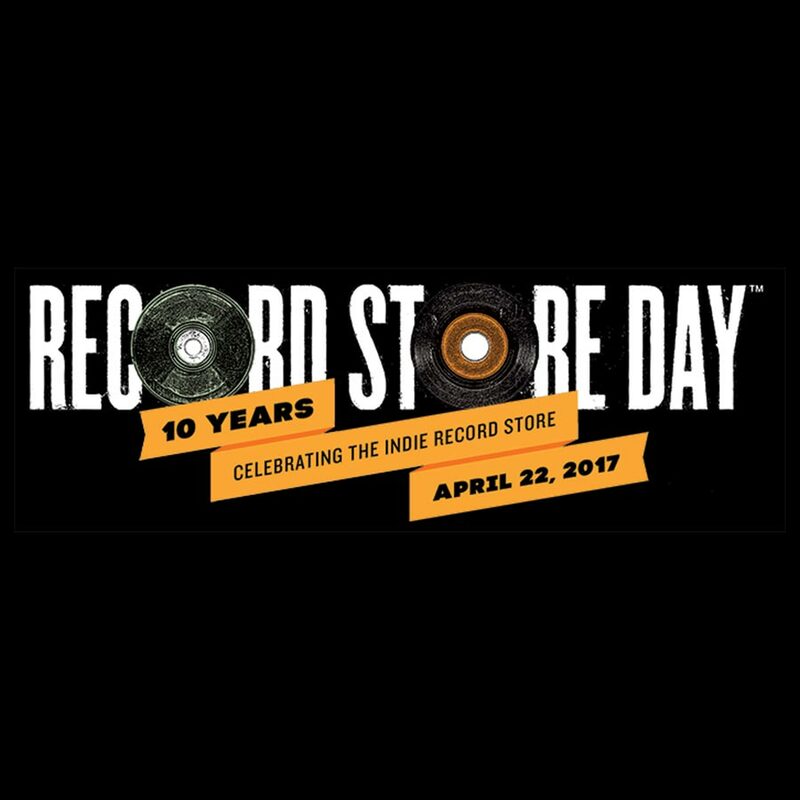 Record Store Day 2017 will be celebrated at independent record stores worldwide on Saturday, April 22, 2017. To locate your nearest participating RSD 2017 retailer, please visit: http://recordstoreday.com/Stores. In 1936 and 1937, Robert Johnson recorded two sessions of Delta blues that would profoundly shape the course of rock music over the 20th century. The Complete Recordings: The Centennial Collection is the ultimate document of these groundbreaking sessions. All 42 known recordings are exquisitely remastered on 3 LPs, packaged in a deluxe trifold jacket including extensive liner notes–the first time Johnson’s complete recorded works are available in one vinyl package. This set also includes an exclusive bonus poster featuring the original labels of Johnson’s 78 RPM singles, released by Vocalion 80 years ago. Bambu (The Caribou Sessions) features highlights from the recording sessions for the planned second album by Dennis Wilson of The Beach Boys. Recorded in 1978 as the follow-up to Wil-son’s classic Pacific Ocean Blue, these eclectic and ambitious recordings were left unreleased when Wilson died in 1983, and remained so until 2008. Now, the power and emotion of Wilson’s lost masterpiece can be heard on a newly designed 2LP set pressed on colored vinyl and featur-ing new liner notes by Ken Sharp. Harry Nilsson’s 1971 masterpiece Nilsson Schmilsson will be pressed on yellow and white split color vinyl for Record Store Day. This classic LP–the first of two that Nilsson recorded in Eng-land with producer Richard Perry–features the Grammy Award-winning No. 1 hit “Without You” (written and originally recorded by Badfinger and later a hit for Mariah Carey) plus the quirky Top 10 smash “Coconut” and the hard-driving “Jump Into the Fire.” This special reissue also includes a reproduction of the poster included with original copies of the album. When Santana took the stage at the Woodstock Music & Art Fair on August 16, 1969, the group was virtually unknown outside of the thriving Bay Area music scene. By the time they triumphantly closed their set, they were one of the festival’s biggest surprises. Santana delivered a career-making performance melding Latin rock and bruising blues that readied the world for the band’s platinum-selling debut album, released weeks later. Santana Live At The Woodstock Mu-sic & Art Fair, August 16, 1969 takes listeners back to that jaw-dropping show, pressed on vinyl for the first time. Live At George’s Club 20 collects raw amateur live recordings of Jimi Hendrix performing with Curtis Knight, made in December 1965 and January 1966—just months before the discovery of the game-changing guitarist in Greenwich Village by Animals bassist Chas Chandler. These raucous blues and soul recordings represent the closest approximation we have to what Chandler heard when he first spotted Hendrix at the Café Wha? on MacDougal Street. Never before officially released in America, Jimi’s primal guitar, compelling voice and magnetic persona are evident throughout inspired interpretations of classic material by Muddy Waters, Jimmy Reed, Ray Charles and others. This specially priced, two LP offering from Dagger Records, the official bootleg label created by Experience Hendrix, presents the original recordings restored by Hendrix’s longtime sound engineer Eddie Kramer. These remarkable recordings are free of the extraneous overdubs and excess audio manipulation apparent on earlier, unsanctioned releases of these performances. The highly collectible 12″ single version of Pink Floyd’s groundbreaking Interstellar Overdrive is a one-sided mono record struck on 180gram black vinyl and spins at 33-1/3rpm. The single includes a fold-out poster and an A6 postcard featuring a classic image of the band taken when Pink Floyd was recording the group’s debut single, “Arnold Layne.” Written and performed by Syd Barrett, Roger Waters, Richard Wright and Nick Mason, this version of Interstellar Overdrive is a previously unreleased recording from 1966, running close to 15 minutes long. The original recording was made at the Thomson studio in Hemel Hempstead, Hertfordshire on November 31, 1966, prior to Pink Floyd’s signing with EMI. A different, shorter version of the track appears on the band’s debut album The Piper at the Gates of Dawn. On September 21, 1956, the first Johnny Mathis session produced by Mitch Miller took place. It succeeded beyond anyone’s wildest expectations. The first single from that session, “Wonderful! Wonderful!” b/w “When Sunny Gets Blue,” shot up the charts in early 1957, peaked at #14, and stayed on Billboard’s Pop Singles chart for 39 weeks – a record that remained unbroken for more than 20 years. 60+ years later, the importance of these two cuts to Mathis’ career–and pop music history–cannot be overemphasized. Amidst the burgeoning rock ‘n’ roll juggernaut of the 1950s, young listeners heard one of their peers in a musical setting which allowed them to take a breath-er from the frenzied drive of rock ‘n’ roll and they liked it. And what’s more, so did their parents. Music To Drink Beer To 3rd Edition is the latest limited-edition compilation put together by long-time friends Sam Calagione of Dogfish Head and Adam Block of Sony Music’s Legacy Recordings. Sam, who’s in the beer business and a raging music geek, and Adam, who’s in the music business and a raging beer geek, sat down over a few beers and a stash of well-worn vinyl and picked some of their favorite tracks. Launched in 2016, Certified creates opportunities to discuss, revisit, and renew interest in a gen-re that shaped an entire culture, making the leap from a grassroots form of expression to a main-stream juggernaut with staying power. Certified provides contemporary music fans access to rare and unreleased albums, singles, remixes, photos and video footage from iconic labels that have come through the Sony label system such as Jive, Loud, Ruffhouse, J Records, Arista, LaFace, So So Def, Profile, RCA Records, Epic, and Columbia—all in an effort to tell stories that help illustrate the impact R&B and Hip-Hop have made on music and the world.